Madrid: Gareth Bale is back but returns not so much to a hero’s welcome but a Real Madrid team doing rather well without him. Results were good but performances even better. 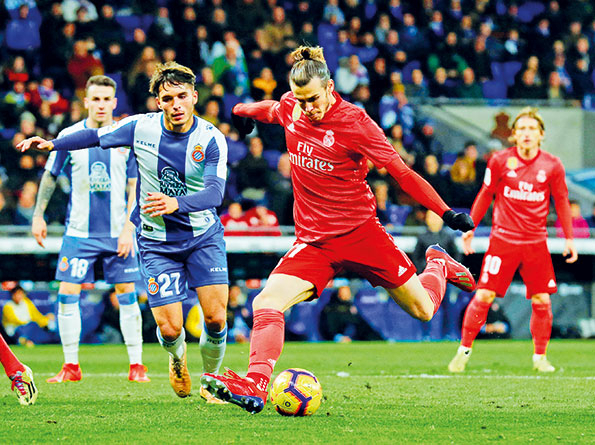 Their 2-0 victory over Sevilla was probably their most complete display of the season while in last weekend’s 4-2 win against Espanyol, when Bale came on and scored, Madrid seemed to have their swagger back. Karim Benzema has been Madrid’s stand-out player this season and scaled new heights in recent weeks. He scored twice against Espanyol and then two more against Girona on Thursday in the Copa del Rey. He has five goals in his last three games, a return he last managed in January 2016. Benzema will never get close to Ronaldo’s numbers but hopes that he might be liberated by the Portuguese’s departure are coming to fruition.